MEPC Wellington Place has announced practical completion for its landmark premium office development, 10 Wellington Place, with two thirds of the building now fully let. 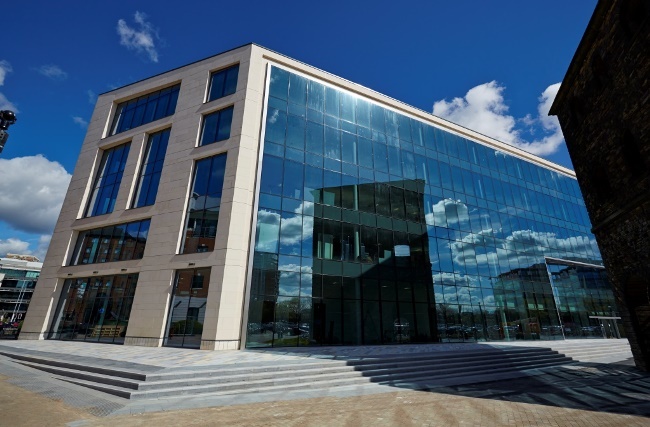 The first new build office development in Leeds City centre for more than five years has exceeded expectations in terms of demand, with leading companies such as Brown Shipley and Shulmans LLP set to take their occupied space next month – leaving just 14,000 sq. ft of space available to let over the third and fourth floors. Located at the heart of Leeds’ business hub, Number 10 Wellington Place provides an unrivalled outlook across the city skyline. Its completion will now provide a springboard for MEPC’s masterplan to provide even more corporate workspace in Leeds. “We are pleased to announce practical completion on 10 Wellington Place, with fit outs for the offices set to be finalised in May. “We are now pressing ahead with our project and vision of making Wellington Place the exemplary five star urban quarter for the West End in which people will want to live, work and enjoy their time. “The practical completion of 10 Wellington Place brings the move to our new offices ever closer. “The fit out is now well underway and we have put a lot of thought into creating a great workplace that underpins the values, culture and personality of Shulmans. 10 Wellington Place will also see the opening of new café, Sociable Folk, on 2 June 2014, which will be spread over 1,334 sq ft on the ground floor. Taking coffee shop concept to a new level, Sociable Folk will provide a large range of barista served coffees. With breakfast and lunch created by an onsite chef serving freshly prepared light, healthy dishes, to eat in or take out. 10 Wellington Place is a BREEAM Excellent-rated building and delivers a clean architectural statement of elegance. It is the third phase of a 14 phase development which will offer 1.5 million sq ft of commercial, retail, leisure and residential space in the heart of Leeds.